As the market leader in HVAC ductwork fabrication solution for almost 30 years, fabrication CAMduct is a staple in the industry. 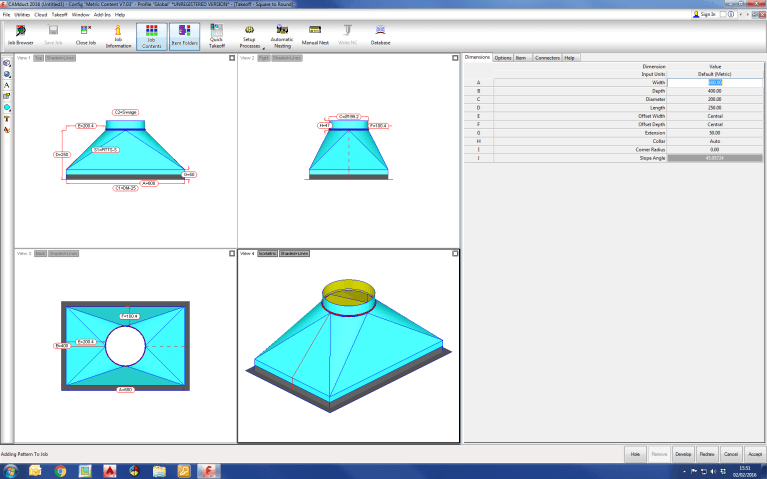 Part of the Autodesk Fabrication suite, CAMduct includes virtually all rectangular, circular and flat-oval ductwork components, along with an enormous array of other standard components, with parts able to be dimensioned and developed within seconds. 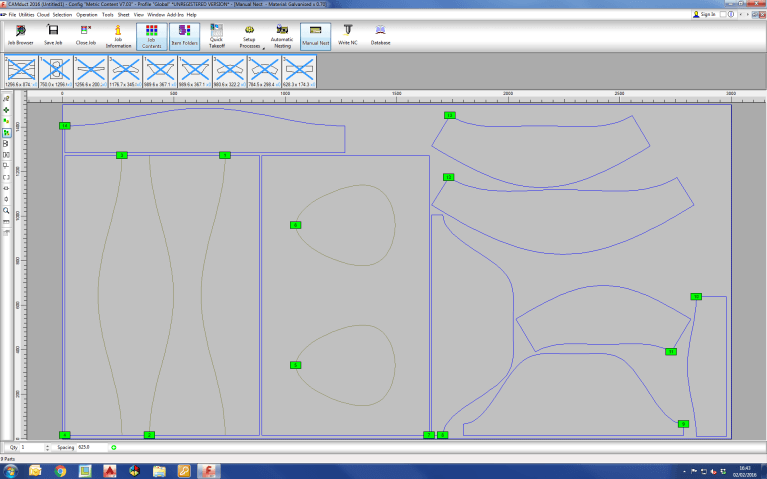 CAMduct’s powerful nesting and reporting tools have the power to integrate with the shop floor and Esprit’s Arrow CNC plasma cutting machine, with all common seaming and flanging systems supported. CAMduct can also calculate lists of flange components with cutting lists, offering effortless control over shop floor processes. Plus with support for marking and label printing, CAMduct ensures all cut components are correctly routed for manufacture and site. 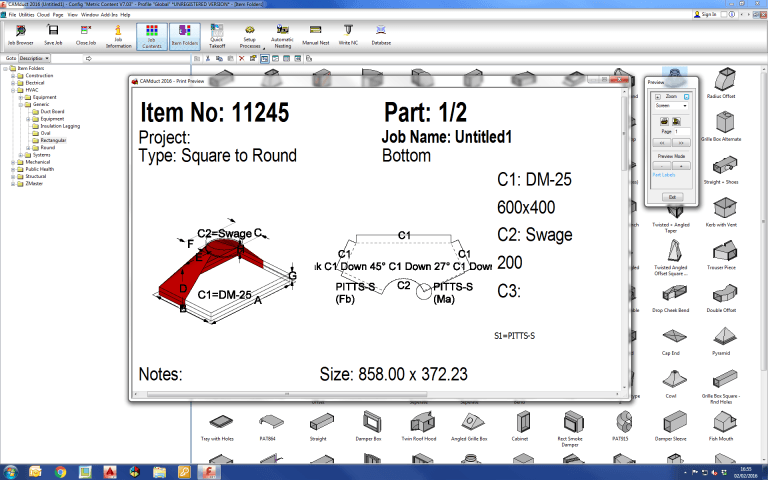 Fast, precise and powerful, fabrication CAMduct continues to be an essential piece of software in the industry. Combined with your Esprit Arrow plasma cutting machine, this ductwork estimating software will do miracles for any company in the HVAC, dust extraction, insulation and industrial ventilation sectors. Advanced sheet metal and linear nesting improves material use. Post processors are built in to write NC for a variety of controller manufacturer machine types. Get access to the largest spec-driven sheet metal component library. Gain a better understanding of job costs and better undertand your bottom line. Fabrication CAMduct incorporates multiple entry methods, customisable screen layouts & clear informative fitting graphics to make job entry efficient, flexible and simple. Fabrication CAMduct has the most comprehensive and proven fitting libraries ready to use. Round, rectangular, and oval fittings, which are suitable for seamed or welded construction, are fully parametric and highly customisable. A full re-write of CAMduct’s nesting algorithms has just been completed, making the automatic nesting function produce less waste and have the best productivity. CAMduct’s Green Nesting improves sheet utilisation and sheet management. Fabrication CAMduct’s parametric fittings automatically allocate flange & seams based on the user’s specification. The additional material required is automatically added to the flat sheet developments, including connector notch an fold-marker notch details. Fabrication CAMduct drives factory production. 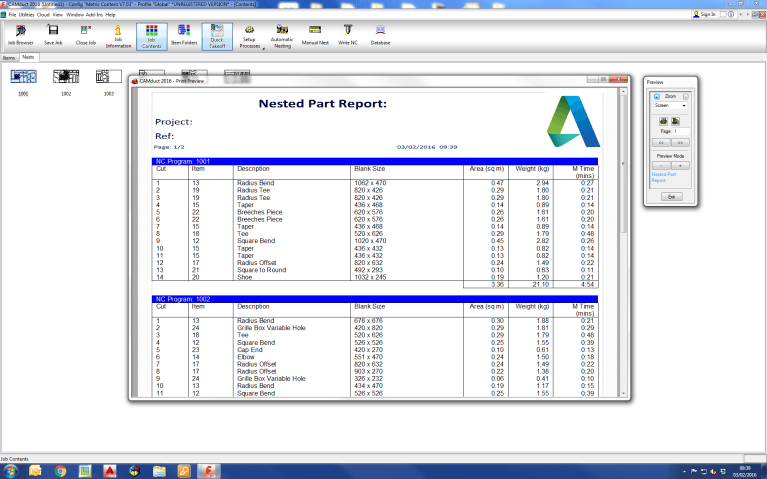 Reports can be generated for almost everything; worksheets for part assembly, delivery labels, workshop reports, management reports, stock control reports, BOMs, plus interoperability with third party ERP/MRP systems. Fabrication CAMduct allows individual manufactured pieces to be assigned labels and barcodes to enable tracking and management report generation on the status of each item. Operating System Microsoft® Windows® 7 SP1, Microsoft Windows 8.1, or Microsoft Windows 10 (anniversary edition) operating system. Best Duct Cutting Machine to Combine with CAMduct? With its dynamic precision and its small footprint, the Arrow from Esprit is the best duct cutting machine to combine with your CAMduct fabrication software. The Esprit Arrow has reliably delivered the outstanding performance in the HVAC industry for more than 20 years, helping hundreds of businesses improve their productivity. If you are looking for a reliable and easy-to-use duct cutting machine that produces high-quality plasma cut parts exactly when needed, go for the Arrow. It’s celebrated as one of the best duct fabrication tools on the market. 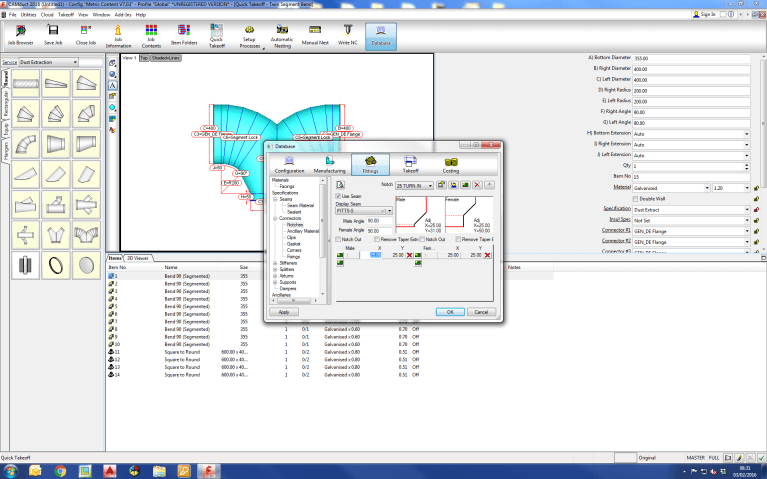 Why buy your duct design software from Esprit? Next to our attractive software prices, our plasma cutting software experts also provide complete support and training to guarantee you get the most out of your plasma cutting job. 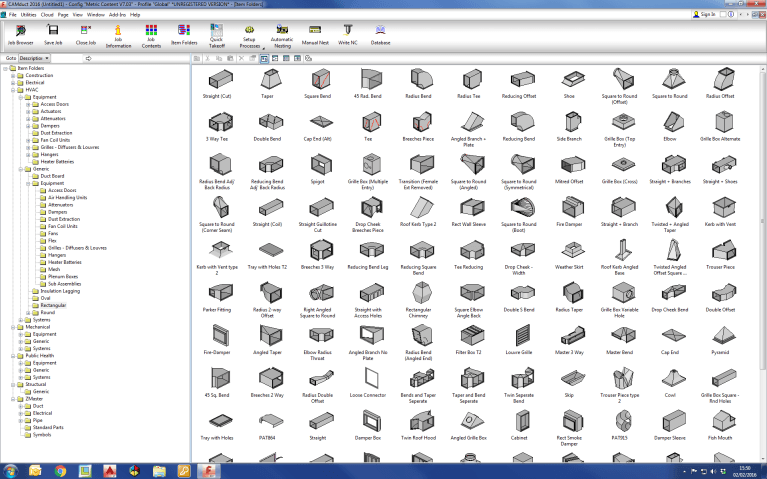 Although CAMduct is a great software solution, it can be a bit overwhelming in the beginning. Luckily we are there to help. CONTACT US For all your CAMduct software needs.